A little over three months ago, I concluded a broad and independent review of how we plan and design our future built environment. The Farrell Review of Architecture and the Built Environment (FAR) was over a year in the making and sought contributions from government, institutions, agencies, industry and the public. It made over 60 recommendations spanning early education in schools,professional education, adult outreach, skilling up decision makers, proactive planning and design quality, cultural heritage, economic benefits and built environment policy. However, its publication was only the beginning. The Farrell Review was a call to action – for policymakers,local government and industry. I have been overwhelmed with the energy and enthusiasm with which the Review has been welcomed and am greatly encouraged by the progress that has already been made. 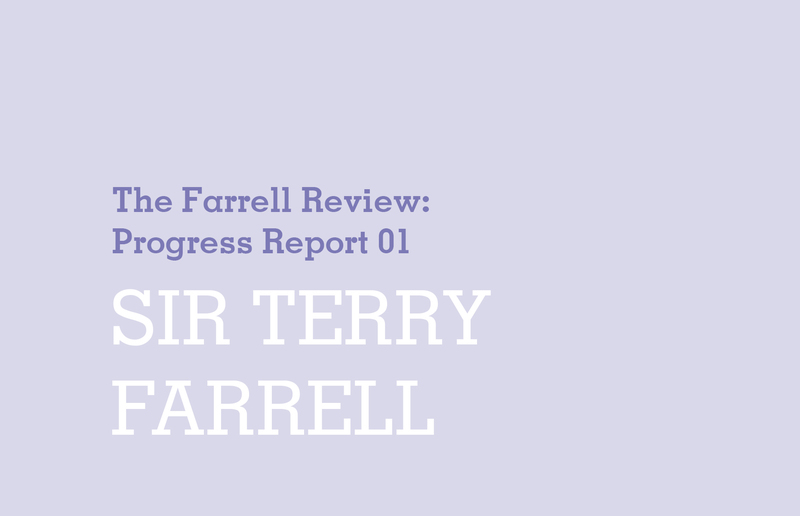 This document is designed to keep you up to date with that progress,and is the first of what will be a series of regular progress updates on the implementation and evolution of the Farrell Review.